As you know I love to travel! I usually pick locations that are close to Malaysia and i rarely travel to western country. Recently i finally went away to western countries this time and i'm loving it! Where can you find a chilling city, a beautiful river, lush parks, some of the finest beaches in Australia, a laid back and friendly vibe, diversity in culture, world class wines and food? The answer is Perth and its surrounds! Perth is the capital city of Western Australia. First of all, Thank you AirAsiaX for such a great flying experience with AirAsia Premium Flatbed. The Premium Class is more than just a Premium Economy Class. In fact, they provide a spacious seat that reclines to unveil a full flat bed for just a quarter of a normal Business Class price. On top of that, you can also enjoy priority check-in! You get to board the airplane before everyone else does. Priority check-in, no more long queue! Perth is just 5 hours 40 minutes away from Malaysia. This is my second time in Perth, the first time was 19 years back when i was 6! I don't have much memories of it but i do remember feeding the Kangaroos and sheep! Hehehe. Here's some of the highlight of the trip! Some MUST-VISIT place when you're in Western Australia. Visit CAVERSHAM WILDLIFE PARK . It is located within Whiteman Park, near the Swan Valley. Around 30 minutes from Perth city. They have the largest collection of native wildlife in WA and are well known for the interactive shows & talks. Don't forget to catch the Farm show at 10am/1pm/3pm! It is also the best time for feeding opportunities and photo opportunities with the wildlife. We thoroughly enjoyed our visit to Caversham Wildlife Park. 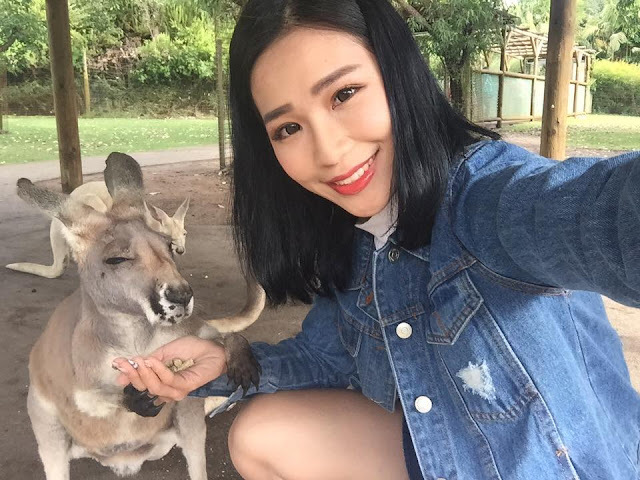 It was a really fun day especially feeding the kangaroos. They are extremely cute and friendly! We uncovered Perth's best kept secret, Rottnest Island. It is located 18 kilometres west of Fremantle, Western Australia. The island covers 19 square kilometres and is a popular holiday destination for Perth locals. We catch the Rottnest Express ferry to Rottnest Island from Victoria Quay in Fremantle which is the closest mainland location. It is around 45 minutes to get there. I highly recommend to take the package with the bike hire because it is so much fun and easier to cycling around the island. You can explore the island wherever you want, at your own pace. Once off the ferry you can collect your bikes right on the dock. 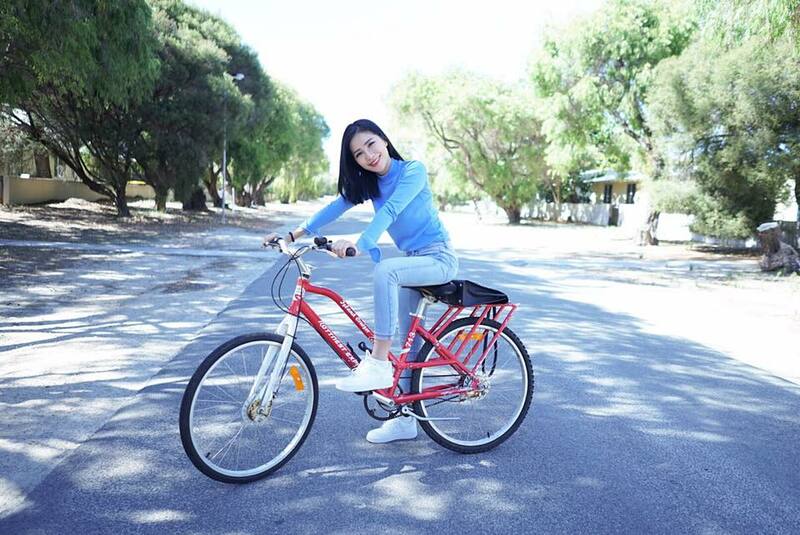 Public vehicles are not permitted on the island, so the traditional way to explore Rottnest is on a bike. The weather was great because it is not hot, perfect for biking! We really enjoy biking by the coastline and the scenery is really beautiful! It was my first time riding a segway. Surprisingly it was quite easy and FUN! The West End is the most beautiful area of Rottnest Island, with rugged coastline, stunning colour contrasts and breathtaking views of the ocean. You can also visit inside the Vlamingh Lighthouse, learn about the heritage and take one of the many walking trails starting from the western end. You will be mesmerised by the intense colours of the ocean. 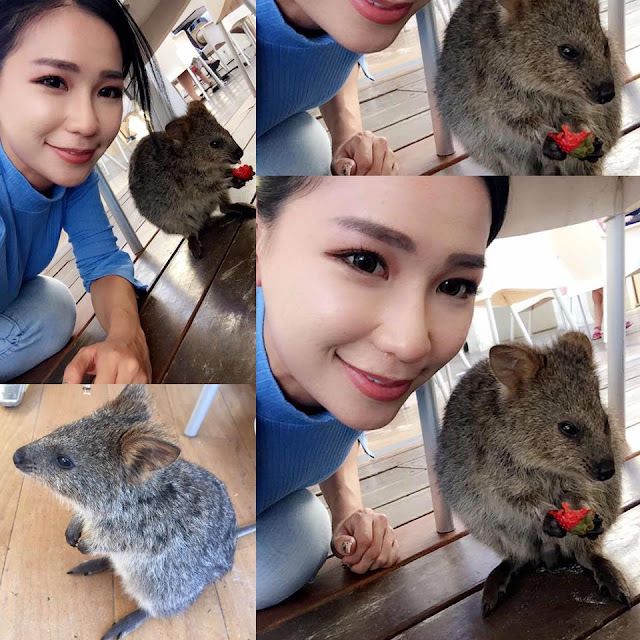 Rottnest Island is truly amazing. Don't miss it when you are in Perth! Loving all the building here, it is like i've stepped into real life Universal Studios. LOL! First stop - Fremantle Markets! When you reach Fremantle, go for brunch at one of the many cafes. They introduce us to culture, history, art, food & beverage and lifestyle scene in Fremantle. It is always better to have a tour guide because you can have better understanding of stories behind. It is an iconic Fremantle landmark. I highly recommend Little Creatures Brewery. They brew all their own beers, and runs tours at 1pm, 2pm and 3pm daily. The space is like an factory. So cool. Fremantle is one of my favourite part in Perth! We had some awesome time by just strolling the down the street. There are so many nice cafes, bars, seafood restaurants and is known as the ‘world’s best preserved example of a 19th century port streetscape’ with heritage buildings and a fascinating convict and maritime history. Grab a coffee, wander the markets, visit the old prison, and don’t miss the Little Creatures Brewery for some great craft beer like we did !